When will a LinkedIn Profile replace a resume? I have looked at many resumes over the years. Most of them are conventionally boring as if a resume writing service had advised the candidate to play it safe. Consequently most resumes are anything but memorable. Your resume should supposedly be updated continuously. There are several reasons for this suggestion but my sense is that having an updated resume ready for anything saves you the anguish of having to update things from your career over the past however many years. And if you are anything like me you probably don’t have a resume at all. I’ve not had a resume updated or otherwise for more than two decades. But having an up to date LinkedIn profile (for me) suffices as a living and breathing version of my work history and interests – that’s pretty much what a resume does don’t you think? I don’t necessarily regularly update content related to my work experience but even there I do change things periodically to update what I’ve been working on, new skills and projects etc. Since I am not currently looking for a job why do I keep my LinkedIn profile updated? The primary reason is that I want people have the ability to get a sense of what I have done (work experience and projects), like to do (groups I am in) and people with whom I associate. It also is a place where I consistently post content and comments on things that I find to be of interest. A traditional paper or email resume seems so limiting. How about having a video of you talking about what you have done and can do on your LinkedIn profile? But be prepared to update that video from time to time to keep the content fresh! A LinkedIn profile is self-reported (at least most of them are) as is a resume. But as I have said many times, whenever I have a first business conversation or correspondence with someone I immediately check on their LinkedIn profile. Even if I cannot see all that much because I am not connected it does give me a sense of background, work history and schooling, not all that much less than a resume! In fact when I go to LinkedIn and see that someone does NOT have a LinkedIn profile I am both surprised and a bit aggravated. I will admit my LinkedIn profile is far from exemplary and in no way should be taken as any kind of standard. But it has so much more about me than any resume ever would. What do you think? 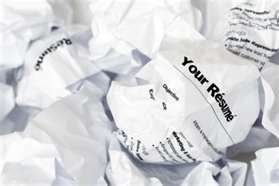 Will resumes go the way of the fax machine? This entry was posted in Best business practices, Communication, Living in the World Today, Social Media and tagged business social networking, LinkedIn profiles, LinkedIn resumses, resumes. Bookmark the permalink. 5 Responses to When will a LinkedIn Profile replace a resume? Found your blog via Linked In updates. According to a Bloomberg interview yesterday with Rick Marini, CEO of Branch Out, recruiting is headed that way. He referred to passive job searching, where companies browse through Linked In and Branch Out profiles to locate people with the skills they are looking for. Your blog marks the third time in two days I have heard or read that online profiles, blogs, YouTube channels and tweets are replacing traditional resumes, especially in creative occupations. That makes me think the trend is heating up. Thanks for the comment and thoughts Sue. Video resumes are on the horizon as well. I think LinkedIn is challenged mainly with the question of how to handle the huge bandwith required to host individual LI member videos on their profile pages. With more than 30 million users it is at present a substantial barrier. Interesting post, Mark! I always do a linkedin update (upgrade?) with any client’s resume. It’s a challenge sometimes to get clients to see the value in linkedin – but, why wouldn’t you take advantage of the online platform? It’s a much better way to display your talents and skills, as well as recommendations. Video aside, it’s still the most powerful platform for starting a conversation about your career. I understand that there’s some debate about how many users are active, and how active they are, but linkedin is an absolute must, whether you are seeking a job or not. It’s part of your personal brand, whether you want to get a job or keep the one you have. Thanks Chris from what I can tell you’ve been advocating LI for a while just like me and you are so right when you note that LI is a part of your personal brand. It’s just the way it is.